Here at EWmums, we love to hear real birth stories from our mums-already who gave birth in Dubai. As expats, birthing experiences in Dubai may differ from what a woman might go through back home. For those expectant mums who are giving birth for the first time in Dubai and away from their home country, it can be an especially scary idea. So with our giving birth in Dubai real stories, we hope you'll find comfort in reading what other mums in Dubai have experienced when bringing new life into the world here. 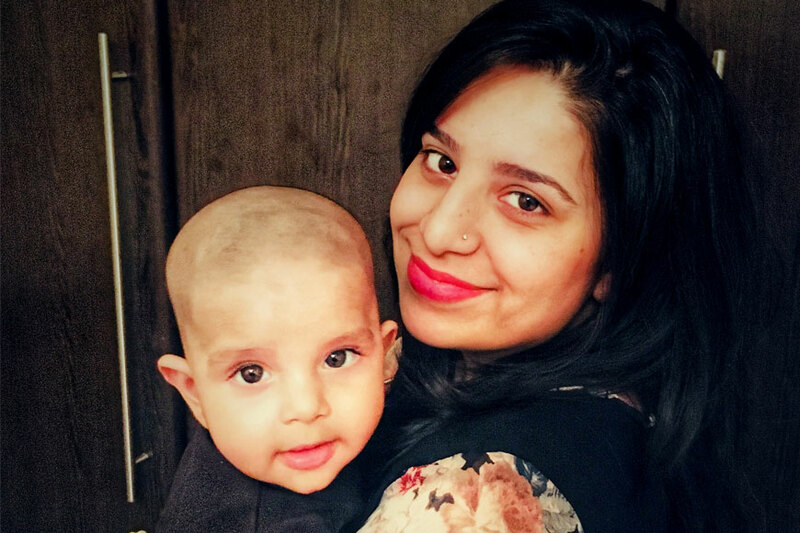 Our first story is from Sindhu Arbani, a mum who hails from Pakistan - she gave birth to her first child in Dubai and went through an impressive 15 hours of labour! "Our pumpkin is on the way!" My husband and I first discovered about our pregnancy on Oct 31st, and jokingly we told our family that our pumpkin is on its way! My first trimester was really tough. I had cluster headaches, severe nausea throughout the day, loss of appetite and overall weakness. I looked dull, lost my hair shine and just looked really gloomy until 24 weeks after which my appetite became better and I started having cravings. But my joy was short lasted; my doc found out I had developed Gestational Diabetes (GD) as I was already at risk because my father is diabetic. And down went all my excitement. I couldn’t eat that chocolate mousse ice cream I’d crave, no junk, no delicious pancakes, waffles. I mean it was so depressing that I could write a whole book about it. Now since I had developed gestational diabetes, my doc clearly told me that we wouldn’t let your pregnancy go beyond 38 weeks as it may be risky for the baby. We decided a weekend for induction in case I don’t get natural labour contractions before the decided date which was June, 23rd.Throughout the last week, I tried squatting, ate all the hot food possible, but nope. Dany was stuck up. But yeah, I did hog on a lot of seafood. And boom, 20th June, in morning when I was just getting out of bed while husband was getting ready for work, my water broke! We were excited, nervous, scared, just name a 100 more emotions that were all happening at once. I had no pains, I was just leaking water and slight blood. We picked our hospital bag (thankfully it was ready since 34 weeks) and rushed to the hospital. "I opted for elective C-SEC..."
I had chosen Thumbay Hospital in Al-Nahda, Dubai, to deliver because it was really close by and had heard great reviews about it. I was taken in emergency to check the situation. Unfortunately, no dilation had happened. My doc advised to start CTG and kept me waiting until 4:00 PM to check progress. But there was still no pains or dilation. So at last, at 5:30 PM, I was induced. It took about 30 mins for the contractions to start and ONLY LORD KNOWS how difficult it was. Upon monitoring, those contractions were still not real. So I tolerated the pain until 11:00 PM after which I just gave up and wanted the baby OUT at any cost. My doc checked and I was only 3cm dilated. She advised epidural and asked me to have patience and not think about C-sec AT ALL. But I just couldn’t take it anymore. I was always SUPER scared of an epidural. So I straight away said NO and opted for elective C-SEC. My labour wasn’t progressing and to be honest, I was so exhausted by then I thought I’d lose my breath if I was asked to push. So I was taken to OT around 12:30 AM and was given spinal anaesthesia. I was active and talking to my surgeon throughout the process. Well, after 15 hours of labour, I heard those words; ‘IT’S A BOY!’ and I forgot about all the pain. Well, at least only until I recovered from the anaesthesia.